Please note that EP campers will need to be able to walk 50 feet at a time over uneven terrain, climb/descend 1 flight of stairs, and use shower facilities without hands on assistance. Our adult friends with mental or physical needs are encouraged to join us for one of our Exceptional Person (EP) Camps. EP campers will swim in the pool, participate in large group worship and daily Bible study, make crafts, and spend time in the Equestrian Center meeting our horses. Each camper will be paired with a buddy/assistant to ensure they have the best experience possible! Campers must be able to walk 100 feet at a time, use a portable toilet facility, climb/descend 1 flight of stairs, and use shower facilities without hands on assistance. A fun filled half-week adventure for our EP campers that are ready for a camping challenge! Campers and buddies will stay in a rustic cabin, cook some meals over a fire, go fishing, and visit the Equestrian Center and the farm animals! If you have questions please don’t hesitate to contact us! Ready for an Inpost camp adventure you’ll never forget? Join us for a week of swimming, canoeing, low challenge course, journeys, Bible study, and worship. We’ll spend time at the barn with the horses and visit Boswell, the miniature donkey! A great stand-alone experience, or add an Upgrade for additional fun! Join us for a half-week filled with fun camp activities! Swim in the pool, go creek stomping, make s’mores, participate in daily Bible Study, enjoy an arena ride at the barn, and so much more! Half the week, but definitely not half the fun! Mini Summer Adventure campers will stay inpost in air conditioned lodging. Ready for your first camp experience? Come join us for a fun day of swimming, Bible stories, and s’mores. Campers will get to meet the farm animals, do a craft, and explore Wesley Woods! A great introduction to summer camp for our youngest friends! Family and Bring a Friend Discounts do not apply. The classic Outpost experience! Cook breakfast and supper over a fire, enjoy lunch in the dining hall, sleep in one of our many outpost sites, swim in the pond and pool, go creek stomping, tackle the climbing wall, take a horse ride, canoe, and explore your faith with large group worship and daily Bible Studies. Who’s ready for a one of a kind camp adventure? Sleep during the day and stay up all night – a camp experience you’ll never forget! Night Owl campers will enjoy lighted night swims in the pool, glow challenge on the rock wall, cooking meals over a fire, fishing under the stars, a horse ride, large group games, star gazing, nightly Bible Study, and large group worship times. A camper favorite! Ready to take on the Iowa backcountry? Portage to your rustic cabin, cook breakfast and supper over a fire, enjoy lunch in the dining hall, learn basic survival and orienteering skills, spend time at the archery range, and fish for a meal. Large group worship and daily Bible studies will help you explore your faith as you explore the world around you. 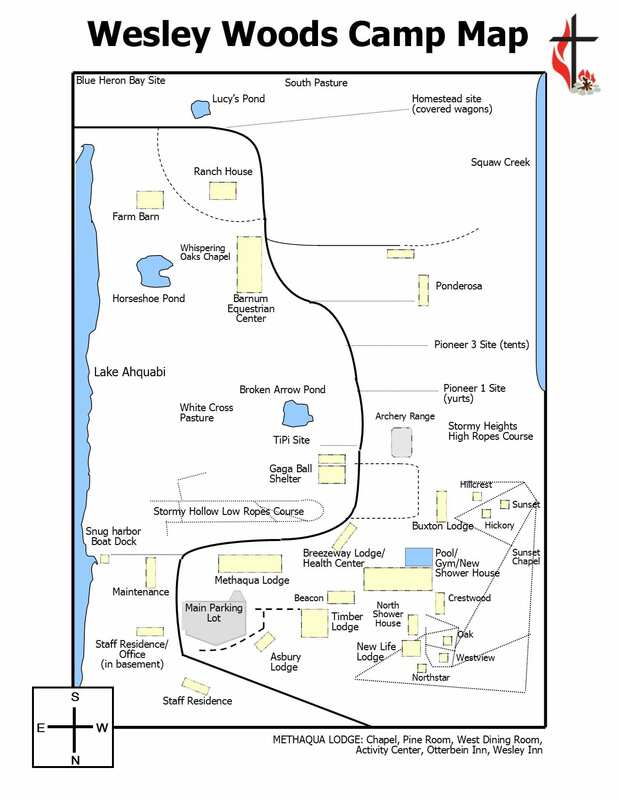 Campers with stay at Blue Heron Bay (Cabin). 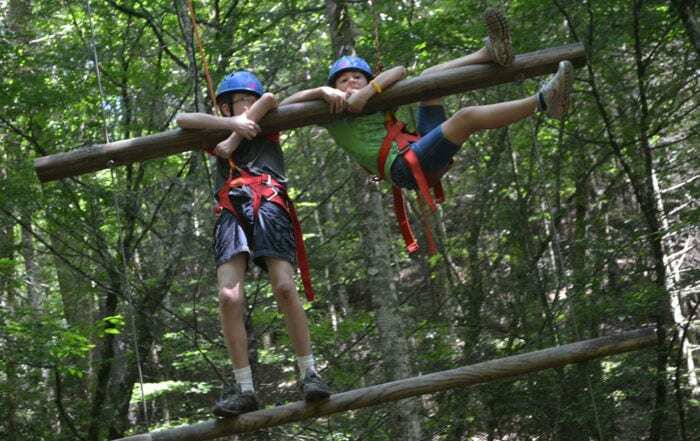 Hangout in our hammocks, learn to swamp and portage canoes, go on a trail ride, spend time at the high ropes course, and go to Adventureland. A camp for teenagers that are looking for camp-centered adventure while learning more about their faith. A full outpost experience created with our young friends in mind. Campers will learn about cooking over a fire, sleep in the tipis, yurts, or farm barn, and enjoy other aspects of our outpost camping experience. Mini Outpost Adventure campers will also swim in the pool, go creek stomping, enjoy an arena ride at the barn,and much more. Your week will be filled, growing faith filled friendships with horses and humans! You will spend time learning new skills while building great foundations in faith and Christian fellowship. This camp is for riders just starting out on their horse journey, as well as those who have participated in horse camp before. At this level, horse campers may have participated in multiple horse camp weeks and the occasional trail ride each year and are working on building a solid base in their partnership with horses. Campers will spend time in the barn growing and developing safe, basic horse care, handling, ground, and relational riding skills in the saddle. While riding we will work on a balanced seat and transitions with lots of games. The focus will be on developing safe, savvy habits and helping campers progress through the CHA level 1 skills. obstacle course, and trail time. feel, and timing in their rein, leg, and seat positions. Ages 5-9 | Pick Up & Drop Off Info. included in registration info. 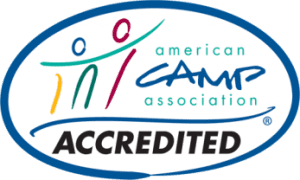 Day camp tailored for younger children of clergy and delegates attending the IAUMC Annual Conference. Caterpillar campers will spend time in the pool, go creek stomping, enjoy Bible Study around the campfire, make s’mores, and much more! Ages 10-14 | Pick Up & Drop Off info. included in registration info. delegates attending the IAUMC Annual Conference. Equestrian Center, explore their faith with Bible studies, and much more! canoe, go for a horse ride, and so much more. and lots of fun are at the heart of Adventure Camp. daily Bible studies! A fun week campers won’t forget!